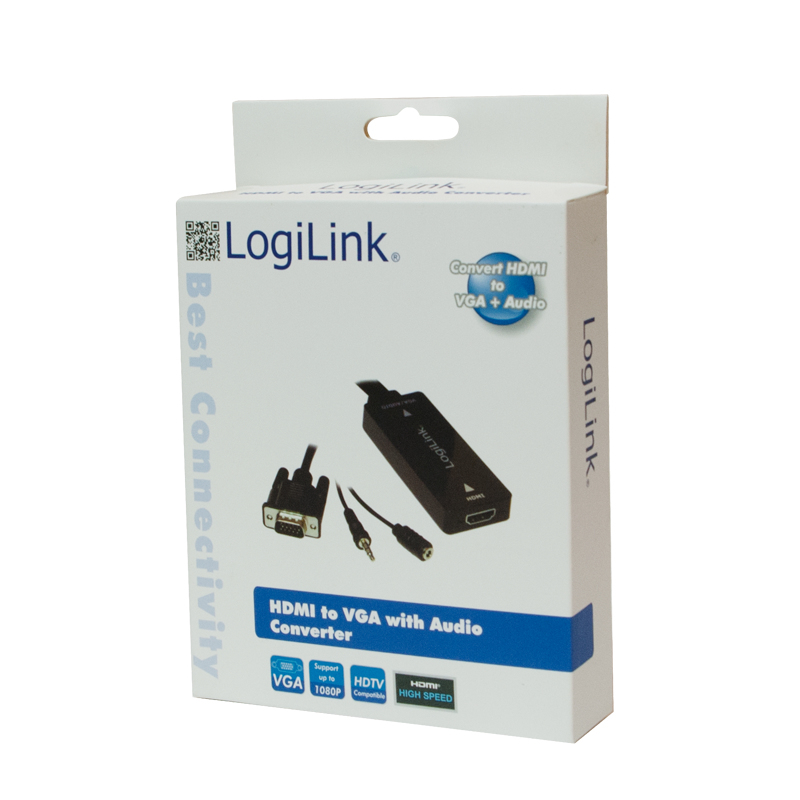 The LogiLink HDMI to VGA Adapter is a great way to connect VGA devices e.g. to your computer. 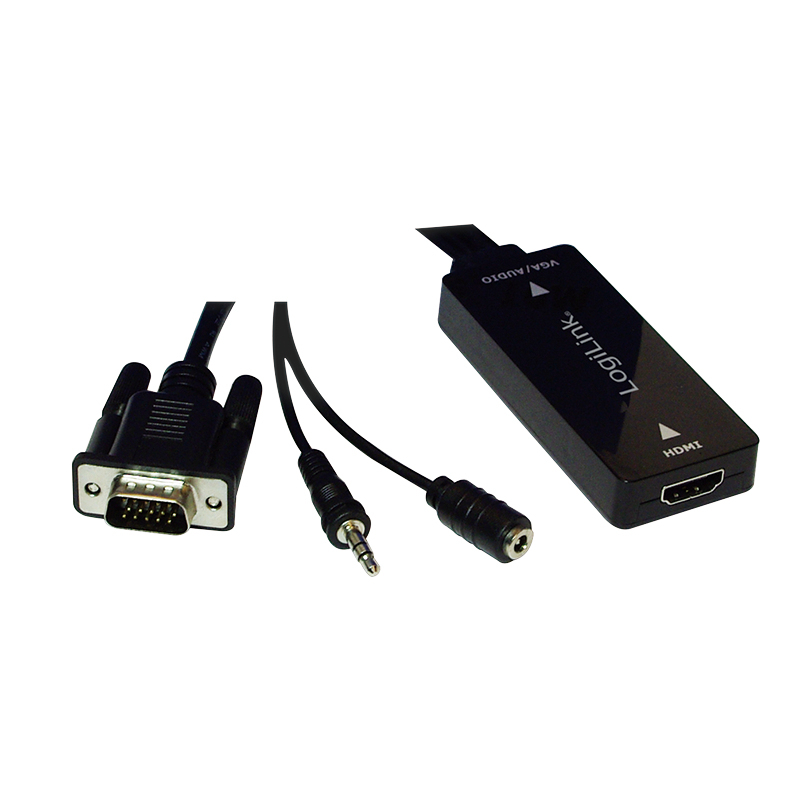 It converts the VGA signals into HDMI signals for equipment like flat screen TV, AV receiver and beamer. 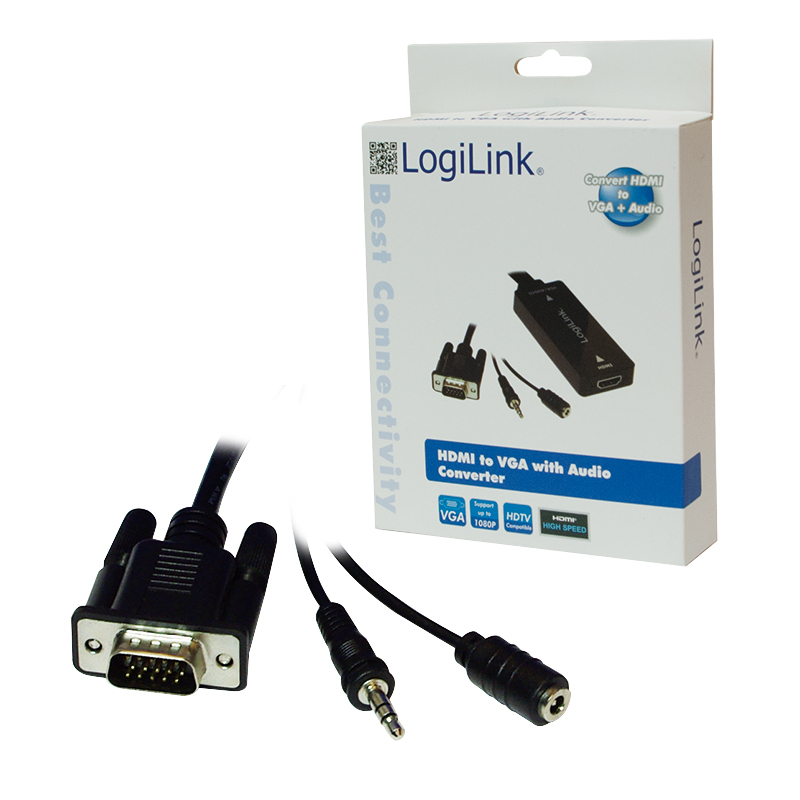 Audio signals are transferred via the audio jack.